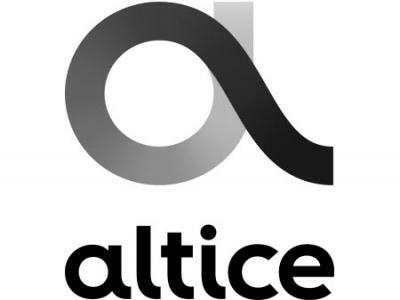 Altice, which operates Cablevision’s Optimum brand cable service in New York, New Jersey, and Connecticut, has informed regulators of a broad-based “rate event” that will take effect on June 1, 2018. Unless a customer is currently enrolled in a price-locked promotion, these new rates generally affect all customers, except as noted. Altice has told Wall Street a different story, noting it is prioritizing a reduction of the company’s massive debts that came from aggressive acquisitions of other cable systems. Altice also told investors in February Altice USA will distribute a special cash dividend to shareholders of $1.5 billion to celebrate Altice USA’s split from its Netherlands-based parent company Altice NV. The company also told shareholders it was happy with its latest profitable results, showing Altice’s residential business growing to just over 80% of total revenue, up 2.9% in 2017 and 1.8% in the fourth quarter of 2017. Business services is growing in mid single digits. Altice also plans to continue increasing marketing on its advanced all-in-one-box solution — Altice One, which costs $25 a month. • Set-Top Box: For customers who elect to receive a traditional set-top box from Optimum, the monthly rate will increase from $10.00 to $11.00. Does not apply to existing commercial customers. • CableCARD: For customers who request a CableCARD from Optimum, the monthly rate will increase from $2.00 to $2.50. • Broadcast TV Surcharge: New residential Broadcast Basic and above customers currently pay a $3.99 monthly “Broadcast TV Surcharge” to partially offset the high costs that broadcasters charge. This fee will increase to $4.99 a month and will also be applied to existing Broadcast Basic residential customers and new commercial customers. • Broadcast Basic Tier: New residential customers currently pay $19.99 per month for Broadcast Basic. To align basic tier rates, this same rate will apply to existing residential Broadcast Basic customers currently paying a monthly rate over $13.95. As an accommodation to existing Basic Tier customers currently paying $13.95/month, the new monthly Basic rate will be $14.95. • Sports and Entertainment Package: This a la carte subscription will increase from $8.95 to $10.00. • Residential Service Protection Plan: In addition to the free 24/7 technical support that Optimum offers all customers, the optional Service Protection plan covers any fees assessed for service visits. To align our rates, existing customers who currently pay $4.99/month will pay the same $6.99 fee currently applicable to new customers. • Restoration Fee: Optimum customers who do not pay their bill within 30 days of the due date, despite multiple reminder notices, are currently subject to a $4.99 per service fee to restore their service. Effective June 1, the minimum service restoration fee will be $10.00 for single and double product customers and $15.00 for triple product customers. • Installation Fee: Starting June 1, the prices paid by customers for standard and premium installations will increase from $69.00 to $99.00 and $99.00 to $129.00, respectively. Customers are being notified 30 days in advance for each of these changes through bill messages or inserts. In addition, rate information will be available on our website at www.optimum.net. You forgot the modem fee increasing from $4.95 a month to $10.00 a month. The modem increase is the most unconscionable of the bunch. You pay more you get mor…. hey wait an Effin minute! anything near this amount..this might be French revenge for saving them twice. I am so sick of these bastards always raising the price on the crappy internet connection I have. Nearly $80/month now, and that is not even with any TV. Disgusting. really need a solution here. I agree with you 100% just got off the phone with the thieving bastards. Raised my internet from 54.99 last month to 64.99 this month. I guess someone in corporate needs a seven figure bonus next month. What better way than to gouge all their customers. These are the people congress needs to be investigating. Figured I’d take a deeper look into my bill. Each month it kept slowly creeping up! My bill increased $20 more since last year! I’m stuck with their monopoly. No other services to go with here in NW NJ. Unbelievable! I feel robbed! The speeds aren’t any faster, the channel guide and menu UI is horrendous. I miss Xfinity!! !